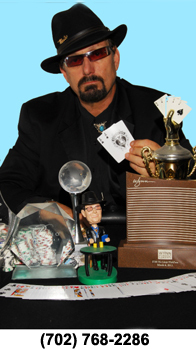 Roberto is well-known in Las Vegas poker rooms as a winning poker player and an outstanding poker coach who provides winning poker lessons; he is ranked by CardPlayer Magazine. A native of California, Roberto's entrance into the world of poker began in 1979 throughout California's card rooms, leading him to Las Vegas' casinos in 1990 and becoming a permanent resident. Since 1990, Roberto has logged tens-of-thousands of hours at the poker table, seeing literally every situation that could be encountered: from every bad call to every great bluff - and everything in between. Roberto's students return to the poker table with self confidence, knowledge, winning strategies, and new found techniques ... making them a force to be reckoned with - Roberto is ready to help you, too.